Being a Rotarian Has Made Me Better! 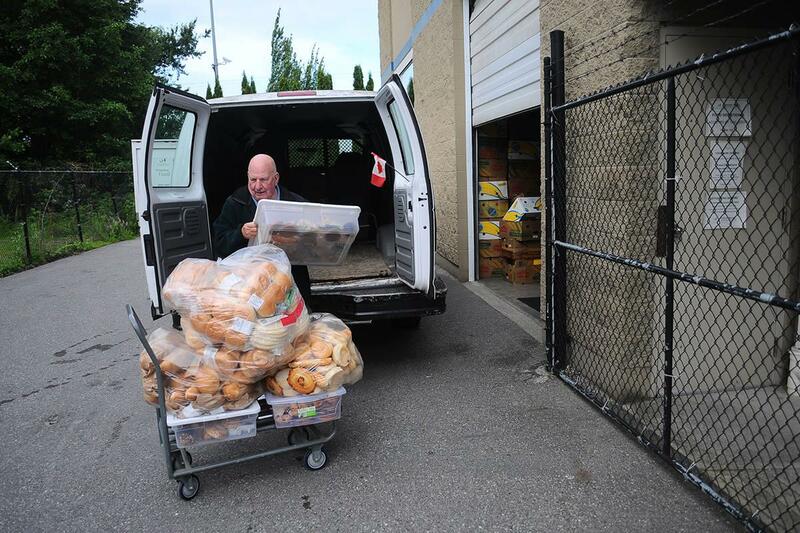 Aaron Hinks photo Sources’ South Surrey food bank volunteer Norm Chess unloads food donations at the food bank Tuesday morning. A food-card program has raised more than $64,000 for the organization. In memory of his late father Henry Block, John Block and his family are going to continue with their food-card program, which raised more than $64,000 for the South Surrey Sources Food Bank in its first year of operation. “We look at this as a continuing tribute to my dad who was a big-time supporter of the food bank. That was an important part of his life because he was a child during the Depression. He understood homelessness and hunger,” John Block told Peace Arch News last week. The program was initiated last June by the five Rotary clubs in the Semiahmoo Peninsula (Semiahmoo Rotary, Peace Arch Rotary, South Surrey Rotary, White Rock Peninsula Rotary and White Rock Rotary). To begin the initiative, the clubs approached Save-On-Foods and asked if the company would sell them food gift cards for an eight per cent discount. The clubs would then resell those cards and forward the eight per cent to the food bank. To double that contribution, the Block family pledged to match the eight per cent. The clubs, with the help of retailers, the White Rock South Surrey Hospice Society and Peace Arch Hospital Auxiliary, were able to sell more than $400,000 worth of food cards from June 2016 to June 2017. The program is not possible without the help of Save-On-Foods, Block added. To honour Save-On-Foods for participating in the program, the Rotary clubs will recognize president and South Surrey resident Darrell Jones as a Paul Harris Fellow on July 27. Block said the award recognizes people who make “exceptional contributions to the community.” Recipients are not required to be Rotary members. Jones is currently in England and was unavailable for interview by PAN press time Tuesday morning. Block said Save-On-Foods has made significant contributions to the South Surrey and White Rock community over the years, and it’s not often the Rotary clubs are able to invite the president of such a major company to one of its gatherings. “Darrell Jones is a community man all the way and he’s very approachable and he was kind enough to accept our invitation as busy as he is,” Block said. Block said Save-On-Foods has agreed to continue with the program this year. The structure of the program will remain the same, however, Block said they were able to find nine South Surrey/White Rock organizations – including Rotary – to each contribute one per cent of the total sales. This year, the initiative will be able to donate 17 per cent of all food card sales to the food bank. The Block family will stay in the initiative by contributing one per cent.